First impressions are everything. The fact is that one of the very first things that your guests see, besides the exterior of your building, is your lobby. An outdated lobby can give your guests the wrong impression about the rest of your building, as well as the services that you provide. 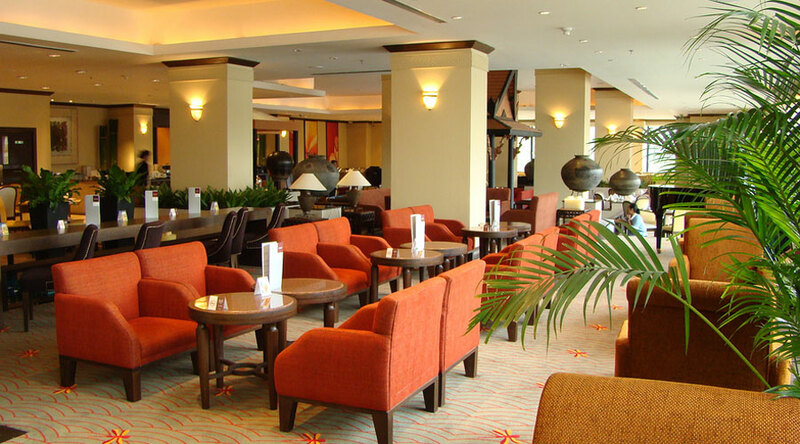 Therefore, upgrading your old lobby can provide a boost to your business. Lobby renovation is necessary to help protect your brand and aides in decreasing vacancies. CB Recovery Group provides everything you need to perform a hospitality lobby renovation as well as any building lobby renovation. From design concept to completion CB RECOVERY GROUP is with you every step of the way. When you select CB Recovery Group to perform your building lobby renovation project you can expect every aspect of your project to be handled by us. Our dedicated team will obtain all necessary construction permits as well as perform the renovation work ourselves. As a full-service general contractor we handle all of the interior construction services including, but not limited to the following: Painting, flooring, wallpaper, cabinetry, trim work, electrical, plumbing, and more. You will never have to deal with subcontractors and will have one point of contact for the entire project. If you are looking for a way to increase business as well as add to the aesthetics of your building, lobby renovation services from CB Recovery Group are the perfect solution. We have over 20 years of experience providing hospitality renovation services to businesses throughout the country, and we look forward to working with you. Contact us today to learn more about our renovation services for your lobby and see what a fresh look can do for your business. Why Should You Choose CB Recovery Group For Your Lobby Renovation? CB Recovery Group, Inc. (CBRG) is a full service general contractor specializing in the restoration and renovation of commercial and hospitality properties. Founded in 2014, CBRG has done many projects all over the United States. Recently, CBRG expanded into renovation work and has over 20 years of professional experience. LEARN ABOUT OUR PROCESS FOR RENOVATIONS! We have a very specific process that we follow when dealing with renovations of all types. We provide continuity of operations in the most efficient and cost-effective manner, ultimately reducing business interruption. Call us to learn more!